When your business is brewing, it's easy for your daily operation to take you away from considering the value of your business. But valuing a craft brewery is a difficult process at best, one that involves art, science and a certain amount of craftsmanship. But exactly how is a craft brewery different than other types of businesses and how will those factors impact your bottom line when you're dealing with a tax agency, court case or selling your company? Here's an in-depth look at the process and how microbreweries are different than other businesses. Microbreweries have been showing up more and more recently, with the paradigm shift in our society placing more value on quality over quantity. This shift has brought these types of food service businesses into the limelight and made them popular in terms of both market share as well as value. This is among the reasons why it's vital that when you have your craft brewery valued that you use a certified business appraisal specialist to handle the process. Think about it for a minute. Restaurants have been around for centuries, so determining value is fairly straightforward, though it can still be miscalculated by the average real estate agent or other individual who has not been through the stringent training process that certified appraisers have been through. However, microbreweries are a newer iteration in the industry. The various factors that will impact their value are still being determined to a certain extent, and only business valuation specialists who go through training and updated education to stay on top of these factors are able to provide an accurate valuation of your business. Among the aspects that are impacting craft brewery values are intangible assets. These are specific aspects of a business that do not have a direct, tangible value, such as a table or brewing vat, but value which is built on reputation, goodwill and similar aspects. Think about when you last went to a really great microbrewery. You'd probably heard something about it in the area from locals or saw an article about it that caught your attention. Maybe the brewery had a great award for a specific brew. It could also be that the brewery has done a lot in the community to build up charitable organizations and volunteer groups. There are any number of other ways that a craft brewery increases its intangible assets and value. However, this is a difficult value for many individuals to calculate, especially given the complexity of the process involved. How do you put a figure on the hoppy flavor of an IPA? What's the value of that best in class ribbon hanging on the wall? 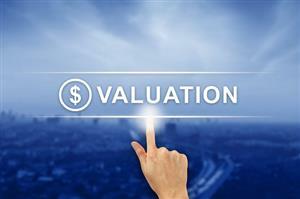 Working with an experienced business appraiser is the best way to work out the value of these intangible assets. Your microbrewery is as unique and creative as you are, and that reputation deserves to receive a fair value when you're working on the business side of your company. Valuing a craft brewery is a difficult process, one that requires careful attention to detail and solid experience with both the industry as well as the nuances of the business itself. Be sure that the appraiser you're trusting the process to is certified to ensure they have the needed knowledge to calculate an accurate value for your business.